Give me a mystery to read and I’m set. From age 5 to now, I’ve been obsessed with mysteries. But can they work in a picture book? Consider Jon Klassen’s HAT trilogy. Each is a mystery at its very core. I WANT MY HAT BACK is a film noir. It evokes darkness and scheming. The main character does not change. In fact, he continues on his revenge path to the absolute final decision. The reader is left with a feeling of fatalism, but in its purest sense. There was a theft. There was also a consequence. NOTE: Editors/agents discussed this book a LOT; did someone die at the end or not? What do you think? THIS IS NOT MY HAT is a similar feel, but it takes us darker. We’ve seen the first book and we know what to expect, but do we really know? The background sea is ink darkness, much like the darkness the author is trying to convey, and as the book progresses, we find ourselves worrying, but then not. After all, how dark can this get? It’s a picture book. But it’s also a horror film. It’s not knowing or seeing what happens. It’s more pronounced. You get a sense that Klassen is taking us somewhere and making us feel the most authentic of feelings. The big fish has his hat. And then there is a cluster of seaweed. And the story is done. What happened? WE FOUND A HAT is the third in the trilogy. It’s about two turtles who find a hat in the desert. This reminds of an old western where there’s going to be a duel and you’re not exactly sure if one will overcome the other and get the girl and become the sheriff and ride off into the sunset to battle another day. Sometimes in this book, the hat is a mirage. Sometimes, it is a dream. There’s a threat of danger as the two protagonists discuss the hat. As Klassen wraps up his picture book trilogy, what do you think? Does it work for you? And just because it’s a much lighter sort of story, I’d also like to mention an upcoming picture book by my client, Jason Gallaher. WHOBERT WHOVER comes out July 2017 from Margaret K. McElderry Books/Simon & Schuster, and it’s a classic whodunit. Whobert has to solve the mystery and engages all of his forest friends to help find out what happened. It’s much cheerier, in illustration and in textual form. It’s like resurfacing after a long, deep swim of Klassen. Try a mystery format and see how it works for you! I have to say that using these books as mentor texts, and discussing mysteries in picture books, I'm inspired to try writing one of my own. It's a genius concept, really. Children are constantly wrapped up in mysteries- the mysteries of how the world works, the mysteries of loss (Where's my toy? Where's my snack? Where's my left sock? )...So I'm surprised mystery picture books aren't more common. And I'm definitely ready to try my hand at one! Thank you so much for recommending these books to us! Hi Jen, my friend Robin Newman has a couple you should check out. They're more like picture book/reader hybrids. The first one is The Case of the Missing Carrot Cake. Fun book! Thanks, lady! I'll definitely add it to my To-Read list! I can't believe the wealth of inspiration and knowledge that floods my way daily. Thank you for sharing this experience with me! Yes, I definitely want to give writing a PB mystery book a go. We have a few on our shelves at home that I could use for mentor texts. Thanks for the recommendations! Klassen illustrates the characters' eyes thoughtfully to portray correct mood - one of the advantages of being the author/illustrator. Tricia, what a great call to action. I am grateful for the darkness that Klassen brought to picture books. It opens up a lot of "territory" both in mysteries and in content for future stories. Looking forward to reading Whobert Whoever. There are fewer mysteries in the PB genre than MG and YA so I am glad you've highlighted a few in your post. It goes to show that when it's done right, it can be done. WhoBert Whoever looks fabulous. I can't wait to read it. Children love a good mystery. They have all misplaced things. These books let them know they are not alone. They comfort them that perhaps they can find their lost items too. Thanks for the mentor text suggestions. Thanks for your post. I love the film comparisons, Tricia! Inspiration really can be found anywhere for a picture book. I love the challenge of writing a picture book mystery. Thanks so much for presenting for us this year! It's an honor to learn from you. Thank you for the post and suggestions. Whobert Whover looks adorable and I'll look forward to reading that one too. Yes! I love mystery books. Wondering "what or why" builds great tension that I've always been drawn to. Can't wait to see how Whobert unravels a mystery! I loved Nancy Drew mysteries as a young girl; I never really thought about applying those story-telling techniques to PBs, but now I'm intrigued to try. Thanks, Tricia, for drawing these mentor texts to our attention! Thanks for sharing! I approach all my stories as mysteries - What happens next? What a great way to examine a picture book! When I first read I want my hat back to my niece I viewed the suspense as humor and this post has clarified why the book works so well! Thank you! Thank you for a fun list of pbs to review. I love "We Found a Hat". It's my favourite of the three. I love a good mystery too. The hat trilogy gives us a weirdly satisfying feeling of reaching our own conclusions in the end. I don't think that is satisfying at all in novels or movies but in PBs it seems to work really well. When I first read I Want My Hat Back to my kids I was surprised to see them burst into laughter after being startled for a second. I'll be on the lookout for WhoBert Whoever. Thanks, Tricia. I love the Hat series - three hats, or as we say here in hockey-land, a true hat trick. Never thought about them as mysteries before... but yes, they are. thanks for sharing your insights. Thank you, Tricia. Klassen's trilogy is great and WhoBert Whoever looks adorable! What a fun idea to try--a mystery for a picture book. Thank you for this post and the stellar mentor texts, Tricia! What a great post Tricia! I had never connected the hat books with mysteries, but now, duh! I'm also looking forward to Whobert Whover. Thank you so much! I love mystery books too. I didn't think I could accomplish it in so few words either. Great to know you can! I've never read all three of the hat books at the same time before. It definitely was fun to compare them and think about what makes them work. 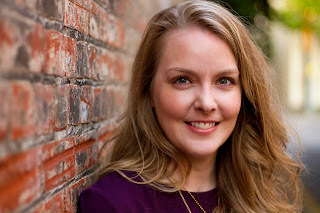 Thanks Tricia for an interesting post about mysteries and it does make me want to try to write one! The mystery mentor texts are great. Now I'm going to "investigate" writing a PB mystery. Thanks, Tricia! It was interesting to think about the 3 Hat books together -- it's unusual to see picture books in a trilogy. I'm intrigued by the idea of writing a picture book mystery now! I love mysteries and I love picture books. I never considered that Klassen's books are such a delight to me becasue they combine the two. Thank you. I'm going to have to look for more clues in I WANT MY HAT BACK to see if I've been interpreting the ending wrong! Fun post and it certainly has me thinking... 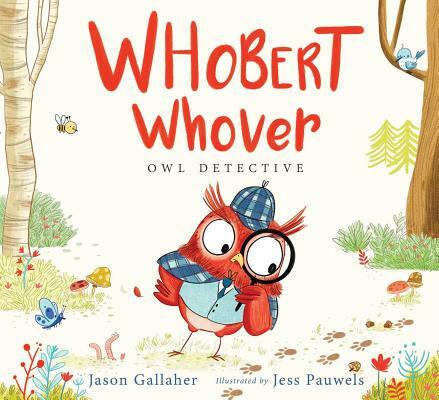 I look forward to reading WHOBERT WHOVER: Owl Detective! I look forward to reading these PB mysteries. That mystery in Picture books is something I'd love to capture and even played with the theme last year on my blog (specific link on my name). I'm inspired not just to look into mysteries, but other lesser explored PB genres. Thanks, Tricia. Hat trilogy... ambiguity breeds uncertainty and some anxiety in the reader. But it's thought provoking. Thanks for your post. Thanks for a great post. I love those Hat books by Jon Klassen too. OH, mysteries are so good! Thanks for the ideas! 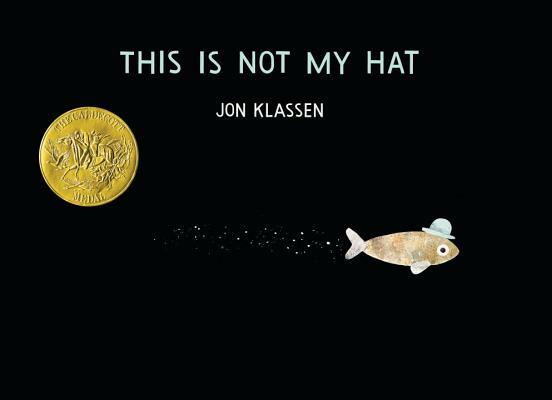 Klassen's hat stories are what got me really intrigued with picture book writing. My husband, who is British, loves the dark ending. Detective Flytrap is another fun mystery series, although it a chapter book. Mysteries are a great idea. I've always gravitated towards humor, but will try to write a mystery as one of my 12x12 manuscripts this year. Thanks for the post and the nudge towards something different. I love the Klassen trilogy and had never thought about them as mysteries. I like to think of them a stories with a moral. Thanks for the insight! LOVE this trilogy and can't wait to check out Whobert! Thanks so much! Thanks for the great post about mysteries! I love this series and enjoy a good mystery especially Sherlock! I love Klassen's books!! Thank you, Tricia!! 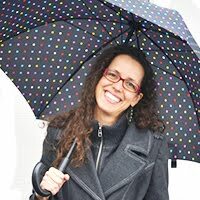 Hi Tricia - thanks for a thoughtful post! I love mysteries in other genres so why not in PBs? I'll give it a try. Look forward to reading Whobert Whover! The hat trilogy sounds amazing. I'll be checking that out. Thanks for sharing! So many possibilities with mystery. Klassen is brilliant! Each book in his trilogy is simple yet complex both at the same time. Your horror film comment made me laugh. Thanks for the great post, Tricia. You're right - mysteries are very compelling. Thanks for the examples and reminder. TRICIA: As a fellow mystery LOVER (I don't go a day without reading or watching one! ), I LOVED your post! THANK YOU for inspiration! I am EXCITED to try my hand at a pic book mystery! Klassen's hat trilogy is brilliant! He's a master of subtle intrigue -- allowing the white space and unspoken words to inform the story, building suspense organically. Thanks for the great post! Though I'm not a fan of dark mysteries, I absolutely love humorous ones. For a period of time in my younger days I lived on Agatha Christie books and Ellery Queen Mystery Magazine. When I found myself no longer ready mysteries I decided I had "grown" out of them. With your post Tricia, my memories of enjoying all those mystery stories have me thinking about accepting your challenge to write a picture book Whodunit. Will I do it? Or will nefarious forces keep me from it? Stay tuned to find out if Idunit! I too love mysteries. I never thought about putting that into a picture book for the young. Thanks for the inspiration! Thank you Tricia for the mystery in picture books trilogy. I look forward to read WhoBert Whoever. As others are pointing out, it's a mystery that there aren't more mysteries in picture books. Thank you for highlighting this subgenre & I look forward to reading Whobert Whover - it looks like a Hoot! I'm happy to see this post, and learned from it. I wondered about a market for "darker" stories and this answers lots of questions. Thanks! I love the Hat trilogy. 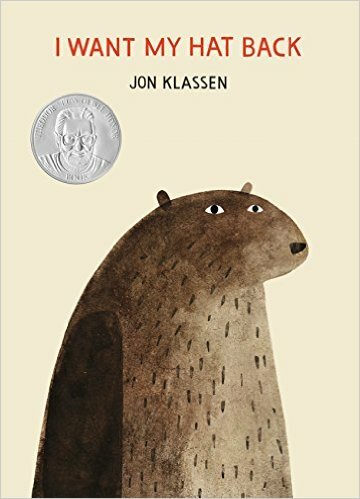 It was so much to see the unique ideas Jon Klassen came up with to entertain his readers. I'm a big fan of the "Hat" trilogy but I'd never considered writing a PB mystery. I will give it a try. Thanks for the inspiration, Tricia! As someone who is reading one or mysteries ALL THE TIME, I'm kind of surprised I didn't consider a PB version. Clearly, dark is not the issue. Hmmm. New work in progress!! Thanks a heap, Tricia! I love mysteries too, and have had some success writing them. This reminded me how fun it was to write, and I'm inspired to try again now - thank you, Tricia! I look forward to reading WHOBERT WHOVER! Love this idea. I was obsessed with mysteries as a kid but hadn't considered writing a picture book mystery. Thank you! Great idea! And Whobert Whover looks adorable. Thanks for the post! Thanks for your post, Tricia. I love the Klassen Hat books and look forward to reading WHOBERT WHOVER. I'm intrigued now to write a PB mystery - thanks for the insight. Klassen's books are thought provoking on many levels. Much for readers to ponder. Hah, I had read the hat books to my kid before, but hadn't thought of them being so scary! Just reread them in a totally new light. Thanks! Thanks Tricia for offering great suggestions. I really appreciate them. Interesting post! I look forward to reading WHOBERT WHOVER! I am plotting a mystery chapter book, yet I had not yet considered a mystery picture book. These mentor texts are excellent suggestions, so I will seek them out at the library. Thanks for the helpful hints! Loved these "hat" books with the darker threads of meaning. Fun for kids and the adults who read to them. Whobert Whover, want a fun mystery. I love puns!! Thank you for this post! Great review of mystery and how not everything has to be shown (or "for sure"). Thanks for the mysterious inspiration, Trisha! These are very unique texts. Completely different from what I expected. Thanks for introducing us to them. Yes, interesting to think about telling a mystery story in PB format. Thanks for these mentor texts, Tricia. I have been studying 2 of Klassen's texts and didn't see them as mysteries. This is very helpful. It seems impossible to get a mystery in 500+ words, but thees texts prove ti cane be done. Thanks! I never considered the Klassen series a mystery, but now I see it. Thanks for helping me read with a new perspective. Your call to action has me inspired! I love a diet of mysteries! The "hat" books are really interesting. I hadn't read them before. Fun and dark and mysterious. Definitely some food for thought for me. Thank you! Whobert Whover looks adorable and sounds like my kind of mystery. Can't wait to check it out in July. Hadn't really thought of the Hat books as mysteries. Now it makes total sense! Oh, I love this perspective! I have been toying around with the idea of a mystery theme for a picture book. I never thought of Klassen's books in this way. I look forward to reading Whobert Whover. Thanks for sharing your insight. Whobert Whover is a good picture book. A nice example of a trilogy for PBs. Thank you for these selections. Waiting for them to come in on our inter-library loan. Great picks! I love the hat books! I love a good mystery and never thought of trying one for a PB. Think that would stretch me..I'll give it a try! Thanks much! Thanks for the suggestion! I have had ideas for easy reader/early chapter book mysteries, but I hadn't considered a PB mystery. I'll definitely give it a try. Whobert Whover looks adorable. Interesting and inspiring! Great selections! Thanks for this post! Fun! Totally going to read WHOBERT WHOVER. Thank you, Tricia. A great inspirational post! I love mysteries too. Thanks for encouraging us to try our hand at picture book ones! Klassen is genius! I love his work. Thanks for sharing this perspective on his books as mentor text. Thank you for an inspiring post, Tricia. Picture book mysteries! Thank you for your post, Tricia and your book selections. What a fun angle! I Love Jon Klassen's books. I'm looking forward to reading WHOBERT WHOVER. Thank you! I've loved mysteries all my life too! I don't write mysteries but feel the best stories have mystery woven in. 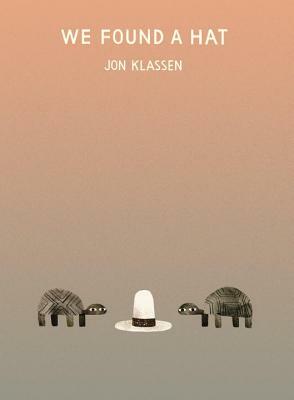 I haven't read the last Jon Klassen hat book yet but I can't wait! Whobert Whoever looks fantastic too. Thank you for your post! You've given me the inspiration and courage to try a PB mystery. I don't read mysteries because I get lost. PB mysteries might be fun. I love Klassens trilogy, but didn't think of it as a mystery. I'll give one a try. Thank you. Come to think of it, there aren't a ton of pb mysteries out there, are there? Well, mystery IS supposed to be the most difficult genre to write! Jon Klassen does a great job in these titles. I'm excited for the release of Whobert Whover! Thank you, Tricia! I have a couple of ideas from story storm. I think I will use this post as inspiration. Yes! I love the dynamic and tension of Klassen's hat books!! They're challenging to read to a child for the first time and I love that uncertainty that hovers as you wonder how the story is being interpreted. Very subversive and exciting. I want to see more and be more of this in picture books! 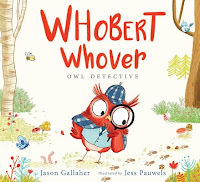 I LOVE Klassen and I can't wait to read WHOBERT WHOVER with my kiddos! Thank you! Mysteries are not only fun to read and solve but push us to expand our thinking which is great for children. You chose well in highlighting Jon Klassen's trilogy. You have also set the tone about mysteries not having to be dark. Thank you for your thoughts about this Tricia! Mystery in PBs - love it! Can't wait to read WHOBERT WHOVER! I appreciate your nudge to think about picture books as representative of a genre. When folks don't know what to make of Klassen's hat books--framing them as mystery (and horror!) is a great way to facilitate discussion. Thanks for this new, specific way of looking at books! Thank you for the mystery selections. Thank you for sharing your thoughtful analysis. Always helps! Thank you for the encouragement to consider writing a picture book mystery. The titles are filled with creativity and inspiration. Mystery in picture books is often closely tied with inference, which requires more reader involvement and ends up increasing appeal. Thanks for discussing this, and thanks for looking at this trilogy through a mystery lens! Picture book mysteries- a wide-open field.Thanks for the post. I can't wait to read Whobert. Thank you for these texts. I had not read the hat books before and will look out for WhoBert. Love the Hat books - have an element of the thriller in them too. There's something so satisfying about a picture book that's a little subversive. Thanks for the thought-provoking post. Wow. This one is right up my alley. A good mystery is the best and I love the Klassen examples. I've been thinking and working on how to do mysteries with my work. Love the mentor texts here. Thank you! Thank you for an inspiring post, Tricia, and congrats on Jason's upcoming picture book! I can't wait to check it out! Love how your post was all tied together. Definitely will use in a few of my WIPs. Eye opening. Thanks. I've read the forst two HAT books...but now I need to get the third and reread the first two...I thank you for pointing out that they are each unique in how they deal with a hat. Great post, Tricia! Picture book mystery books. Great idea. Thank you for revealing this to us, Tricia. I was only able to get We Found a Hat from the library but it was so adorable! I can't wait to get my hands on the ithers eventually! Mysteries are my favorite! Thanks for a new perspective on them in picture books! Mysteries are my go-to always. I appreciate the push to take it to PBs. And yes, Klassen is a MASTER! I LOVE reading adult mysteries and had never considered making a PB mystery myself. Thank you so much for these well-loved recommendations... the starting point for my next MS! I was always a Nancy Drew fan growing up, and culinary cozies are my guilty pleasure now. Thanks for your post. I'm looking forward to reading Whobert Whover. I love the film comparisons , Thanks you for sharing . . .. .